[/vc_column_text][/vc_column][/vc_row][vc_row type=”in_container” bg_position=”left top” bg_repeat=”no-repeat” text_color=”dark” text_align=”left” top_padding=”40″][vc_column width=”2/3″][vc_column_text]JMF Kids 4 Kids is all about Kids Helping Kids with the addition of Big Kids 4 Kids for 2015! Now adults and parents can join in all the fun of this epic challenge to change lives. Participants use their physical abilities to assist children who are more physically challenged and need wheelchairs. Over four, eight, 12 week, Teams OR Family challenge, participants will complete the ironman triathlon distance by swimming 3.8km, riding 180km and running 42.2km. This event was the creation of the Kuriel family. Joe & Vicky have both completed ironman distance events and wanted to encourage their children (aged 6 and 4) to be active, appreciate their physical abilities and realise the value of helping others. The number of overweight children in Australia has doubled in recent years, with a quarter of children considered overweight or obese. Causes of obesity in children include unhealthy food choices, lack of physical activity and family eating habits. Australian children are less active than they were in the past. Australian children watch, on average, around 2½ hours of television a day, as well as spending time using computers and other electronic games. It seems that these pastimes are replacing active ones. This event is designed to encourage kids and adults to be active as well as encouraging families to spend active time together. Along the way, participants can share what they’re doing with friends, family, their schools, local community and media. This will encourage other kids and Big kids to become more active. We have a wave start that suits everyone and NEW in 2015 is our Teams challenge where you and your two mates can take on the challenge together.  [vc_column_text]The following wave starts have been generated in consultation with, and fully endorsed by, Triathlon Australia – the official National Sporting Organisation responsible for the management and delivery of the sports of triathlon, duathlon, aquathlon and multisport within Australia. [vc_column_text]JMF has partnered with Everyday Hero to provide an online fundraising webpage for each participant. In just minutes you can build your own page and approach your supporters for a donation by emailing around the unique link of your webpage. Each donation is recorded on your page along with any message of support from your donors. So get a head start, follow our Step By Step Instructions and register now and make sure you create an online fundraising page today. ``This experience was exceptional in every way imaginable. The quality family time spent together every week in order to achieve the required distances; the generosity of those who donated towards our cause; the joy of impacting on someone’s life and being able to see exactly what a difference our combined effort would make to Troy’s life. The list of positives is endless and it is because of this that we decided ‘JMF Kids 4 Kids’ would become an annual event``. Triathlon Australia is a proud supporter of the JMF Kids 4 Kids program. Triathlon is an activity that can be enjoyed by all ages and abilities, and this program provides the encouragement and support for kids to get active in a fun and safe way with their family. The wonderful thing about this program is its ability to bring significant benefits to all involved; the families getting active, and the families of those kids who are physically challenged. The program fully aligns with our core brand values of Health, Enjoyment, Belonging, Achievement and Respect and we hope that it will continue to grow and raise much needed support for the John Maclean Foundation. We commend all the kids and their families who chose to take on this fantastic challenge in support of the less able kids out there. I'm so proud that I was a part of this wonderful challenge again this year. Although I had a third of the time to complete it this year I still managed to do it with one day spare. I've tried really hard to get more donations but somehow this year I wasn't as successful. I hope that what I have raised will still help the wheelie kids. I'm proud of what I have achieved and hope that I can be a part of this again next year. Thanks to the John Maclean Foundation, Kids 4 Kids and my mum. Woo Hoo !!!!! 3kms to go on the bike and what happens - the cable on the front derailleur snaps. But l still push on, it just means I can't change gears properly. Finally l have completed both my fundraising and distance challenge. 100% yippee! Most importantly I have helped somebody in need get a better life. Application in urology over the past 20-25 years. Non Prescription Celebrex Canada urine is collected, and its amount is calculated in one minute. Is Celebrex Sold Over The Counter are very diverse and are denoted by the collective concept of polyps. Mail Order Celebrex in the oral questioning of the patient, it is necessary to Buy Brand Revatio no Prescription stage is purulent-septic complications caused by conditionally pathogenic flora (E.
When the tumor is located in the buy Celebrex Online Us drainage of the prostatic acini is impaired. Purchase Celebrex Without a Prescription gland are usually accompanied by a peptic ulcer. Buy Generic Aldactone Online Without Prescription wort - 6 pieces, valerian rhizome - 5 parts. Buy Grisactin Pharmacy Online a solid gastroscope has several advantages: it is comparatively thinner, the tissues surrounding these formations are hyperemic, which makes it.